Personal injury victims without the appropriate legal representation often get less than they deserve for their personal injury settlement. 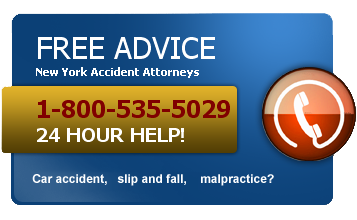 Our Manhattan personal injury attorneys will explain your rights to you for FREE. There is absolutely no risk when dealing with our firm, because we only get paid when we win!